This Riverdale character is set to star in a New York City SPIN-OFF | SHEmazing! 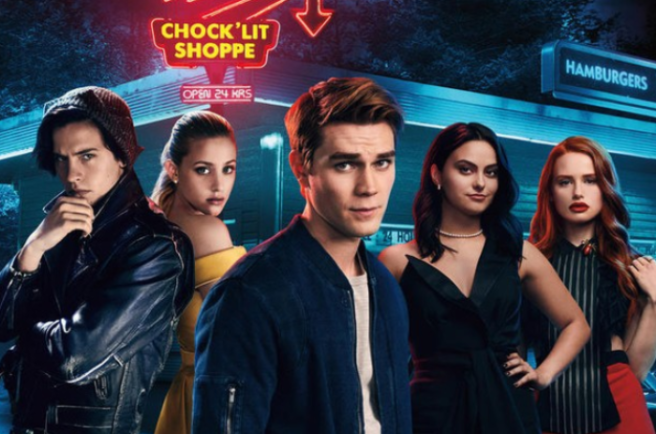 News recently hit that The CW has ordered a pilot episode for a Riverdale spin-off, and we're ECSTATIC. We need a Pops milkshake to calm down from all this exciting news, because one of the cast's main characters is set to star in the new show. The title of the hit teen drama's newest addition is called Katy Keene, according to Deadline and TVLine, and is a musical dramady which follows the protagonist to New York City. The main character is a fashionista who, alongside her pals, are striving, "to make it on Broadway, on the runway and in the recording studio," according to the network. We're already hooked. Iconic Chilling Adventures of Sabrina and Riverdale showrunner Roberto Aguirre-Sacasa will write the pilot with fellow Riverdale writer Michael Grassi, and none other than Josie McCoy will be the titular character. .Ashleigh Murray has been a regular on The CW series since the premiere in January 2017; her portrayal of Josie McCoy has been lauded by audiences for her fierce talent and determined personality. “Katy Keene follows the lives and loves of four iconic Archie Comics characters- including fashion legend-to-be Katy Keene and singer/songwriter Josie McCoy- as they chase their twenty-something dreams in New York City." OH. MY. GOD. We can't wait. Murray's character Josie McCoy has been the lead singer of Josie and the Pussycats since the show began, but her two band-mates have since disappeared; Valerie Brown (played by Hayley Law) and Melody Valentine (played by Asha Bromfield). The Katy Keene pilot is being directed by Maggie Kiley, and Roberto Aguirre-Sacasa and Michael Grassi will act as executive-producers as well as writers.